Though the mainstream media (and many in Congress) has largely dismissed President Trump's cries about an emergency along the US southern border, even the New York Times and Washington Post have acknowledged in recent weeks that the number of migrants crossing the southern border is climbing rapidly. As the number of apprehensions have increased, the situation has gotten so bad that the administration has decided to start releasing some migrant families because its detention facilities along the border have become so crowded. And as it turns out, migration is surging north of the border as well, as Canada's statistics agency reported on Thursday that the country experienced the largest inflow of migrants in more than a century last year. Though the figures excluded illegal migrants (who have also reportedly been entering the country in record numbers), more than 320,000 people migrated to Canada last year, with more than 71,000 arriving in the final quarter - including legal refugees attracted by Prime Minister Justin Trudeau's "open door" policy. 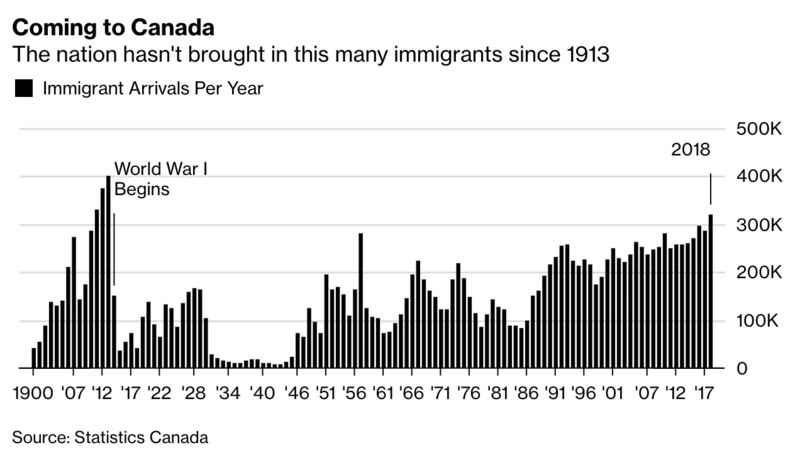 The increase is the largest since 1913, when 401,000 migrants entered Canada. The country has detailed migration data stretching all the way back to the mid-19th century. 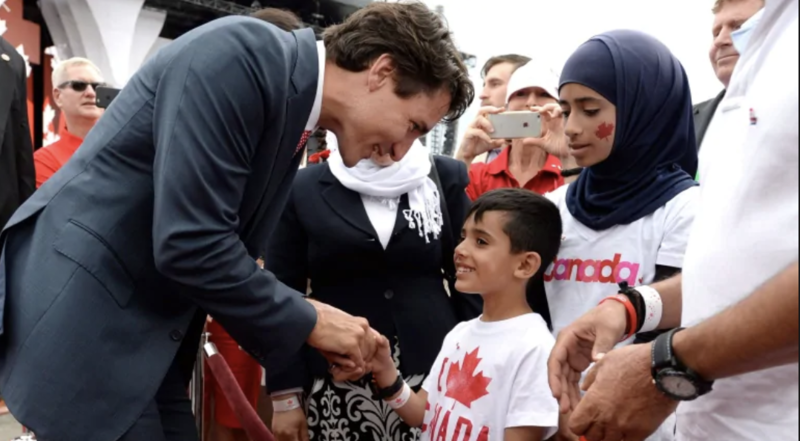 As birthrates in the developed world continue to slide, the influx of migrants helped Canada's population swell by more than half a million people last year, the largest annual increase since the 1950s, and the fastest pace of growth since the early 1990s. Though it's worth noting that the boom includes many foreign students, some of whom aren't planning to remain in Canada for the long term. All told, Canada's population increased by 528,421 last year, or 1.4%. BBG touted the "economic tailwind" from the increase in migration, which helped to offset the country's deceleration in its organic population growth (the increase reportedly fueled a surge in employment).